Following its multi-million dollar refurb, the Grande Dame of Beijing has never looked better. The tone is set from the fleet of Rolls Royce Phantoms on the outside, and from then on, it’s a crescendo culminating into the best hotel experience in Wangfujing. For the city’s jet set millennials, snapping a selfie here is a rite of passage. And who can blame them… The lobby’s breathtaking marble white flooring and massive pillars make it looks like the antechamber to heaven. Need a boost of energy in the mornings? The hotel’s 18 meter pool and indoor gym are the perfect place to start the day or to work off any likey indulgence from one of the hotel’s three restaurants ( of which the Huang Ting comes with our highest recommendation.) 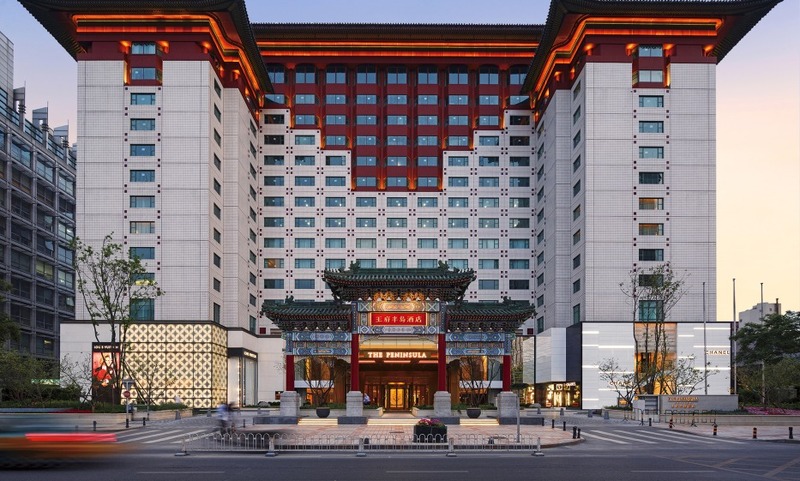 Located right in the heart of the Wangfujing district, the hotel puts you within minutes of Tiananmen Square, the Forbidden City and some of Beijing’s best high-end shopping. Not that you have to go far. One of the country’s leading shopping destinations, the Peninsula Arcade, is found within the hotel and stocks prestigious brands such as Bottega Veneta, A. Testoni and Bulgari. Most spacious guest rooms in Beijing, starting at 60 sq.m. The hotel's design, a beautiful blend of classic architecture and contemporary lines. Every room is equipped with the latest technology, a Peninsula's signature. We love the Peninsula hotel group. This was probably the best Peninsula we have stayed in - even better than Hong Kong. The guest relations manager Mary made a special effort to make our stay memorable. It was a wonderful stop over for us on our way to Europe and Beijing was a fabulous city.